Orange County Mayor Teresa Jacobs joined Gov. 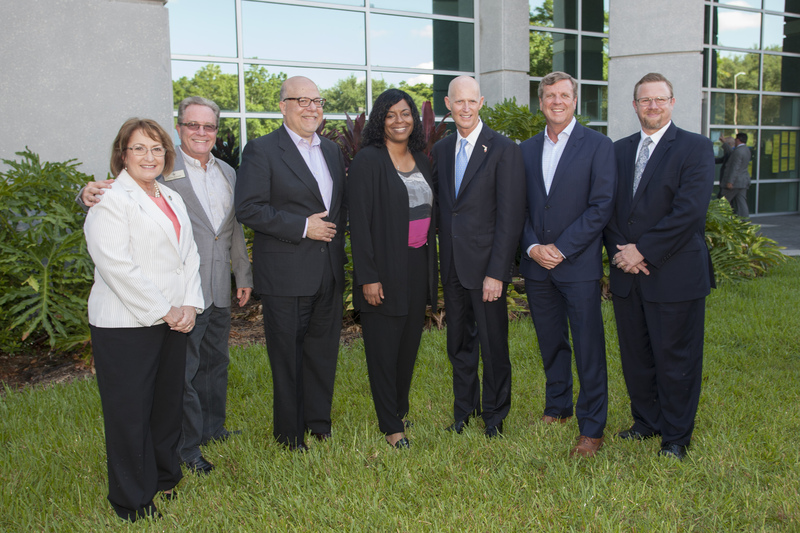 Rick Scott on July 26 to announce that ADP will open new offices in Orange County, which will result in the creation of 1,600 new jobs. ADP is one of the many companies Gov. Scott met with during his domestic trade mission to New York last spring. The new office opening will create 500 positions within the next six months. The company will invest more than $28 million in the local community. ADP is a comprehensive global provider of cloud-based Human Capital Management (HCM) solutions that unite human resources, payroll, talent, time, tax and benefits administration. The company is a leader in business outsourcing services, analytics, and compliance expertise. ADP serves more than 610,000 clients of all types and sizes around the world. Florida’s ever-expanding economic structure has enabled Orange County to be a global player in the provision of value-added services in finance, insurance, architecture, accounting, consulting, engineering and more. In total, the state is home to more than 129,500 financial and professional services firms and their nearly 900,000 employees. Partners in the expansion include Enterprise Florida, Florida Department of Economic Opportunity, Orlando EDC, Orange County, the City of Maitland, CareerSource Central Florida and Duke Energy. To view photos from the ADP announcement, visit Mayor Jacobs’ Flickr album.